Awesome watersports at our Beach Club, Plantation, Sea-n-Suds, and Perdido Key locations! 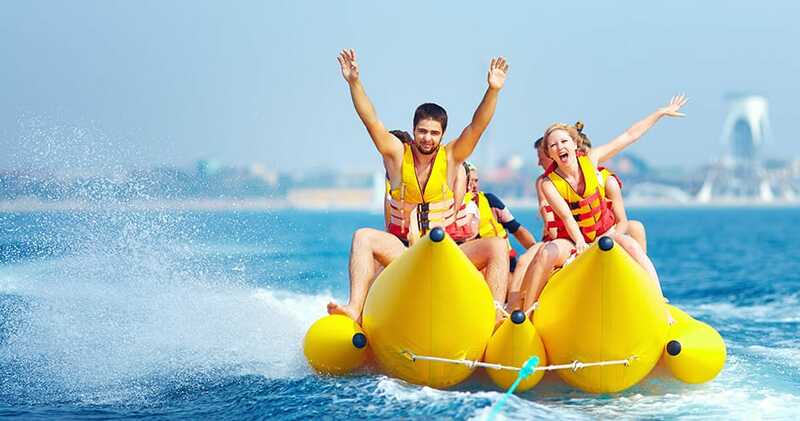 Banana Boat rides are a great activity for all ages! Bounce above the waves as you're towed by a Waverunner along the beach in front of The Beach Club/Plantation Resorts in Gulf Shores, AL. Rides typically last about 15 minutes, and wear your bathing suit because you will definitely be getting wet! Riders must be at least 6 years old, and EVERYONE will be wearing the provided life vests. We can wait to take you on an exciting Banana Boat ride!